​Thank you for choosing Element Windows as the supplier for your upcoming project! We look forward to working with you and have produced this content to help ensure that your project goes as smoothly as possible. ​By now, you have already signed the quotation (Contract of Sale) and formed an exciting partnership with Element Windows. Your quotation and the window schedule clearly show what will be supplied to your project. If any changes are required along the way, please contact us so that we can undertake a Variation To Contract. Please note that any changes from this point forward may incur time and cost implications. If you have not already done so, you will need to ensure that you have selected a colour for your windows. Materials cannot be ordered until we know the colour, so this information is the first thing we will require from you. If you require reveals around your windows, we will need to know what size is required. Reveals which are larger than 135mm incur a surcharge. If we are only supplying windows to your site, you will need to confirm window sizes prior to production. If we are installing the windows for you, then all openings must be fully prepared, and all drainage / flashings etc installed, prior to check measure. If we are only supplying windows to your site, please ensure that the party responsible for the installation take the time to read this information. Installation is the major contributor for the performance of windows and glazed doors. 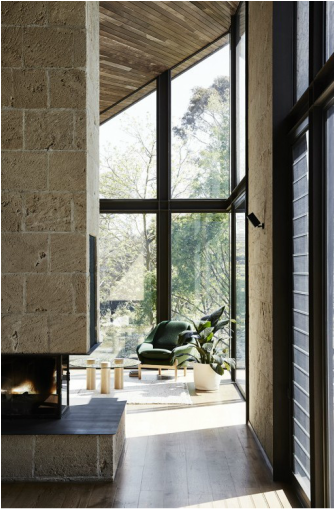 The Austalian Window Association states that large amounts of time and money are spent investigating a 'failed window system', only to discover the real issue is installation. In fact, around 80 percent of all window complaints are attributed to installation and care issues during the construction period. 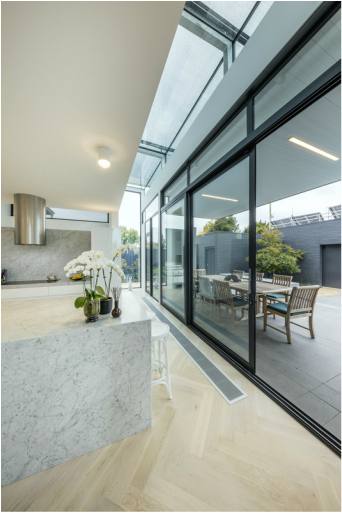 The Australian Window Association has put together detailed information and instructional videos on how to correctly install windows. Windows must be installed plumb and square. This is especially important, as many of our products contain multi-point locking systems which need to be lined up precisely. Bi-folds and Sliders must be fixed through the head frame. Large windows and all sliding and bi-fold doors need the bottom frame to sit entirely on a secure base. Don't leave these frames partially hanging off the edge of the slab. Pack and screw the frames into your walls. If Element Windows are undertaking the installation for you, please ensure that all openings are fully prepared and set up correctly. You can contact us at any time for further clarification and information. We want you to get the best result possible from our premium systems! Your window and door frames will be delivered to site without glass. This allows for ease of handling and installation. Regardless of whether the windows are 'supplied only' or installed by us, we will glaze the windows for you. Lead time for glazing is generally around 2 weeks. If you have sashless units or louvres, these will have a lead time of around 3 weeks. Ensure that scaffolding is in place so that windows can be glazed and siliconed from the outside. It is your responsibility to contact us at the appropriate time to book this in and ensure that the glaziers have a safe scaffold/ platform to work from where needed. Once glass has been installed, avoid operating the windows / doors for 48 hours, so that the silicon can fully dry. On projects where flyscreens, translucent film, decals or other miscellaneous items are to be supplied by Element Windows, please allow 4 weeks lead time. These items are generally fitted when your project is nearing completion. Please allow enough time for us to finalise our works, so as not to hold up your completion. It is your responsibility to contact us at the appropriate time and book these items in.